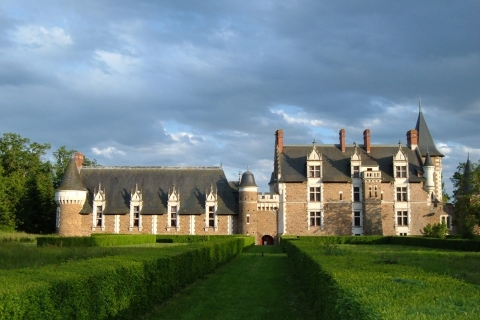 the Colaissière already existed in the 14th century. 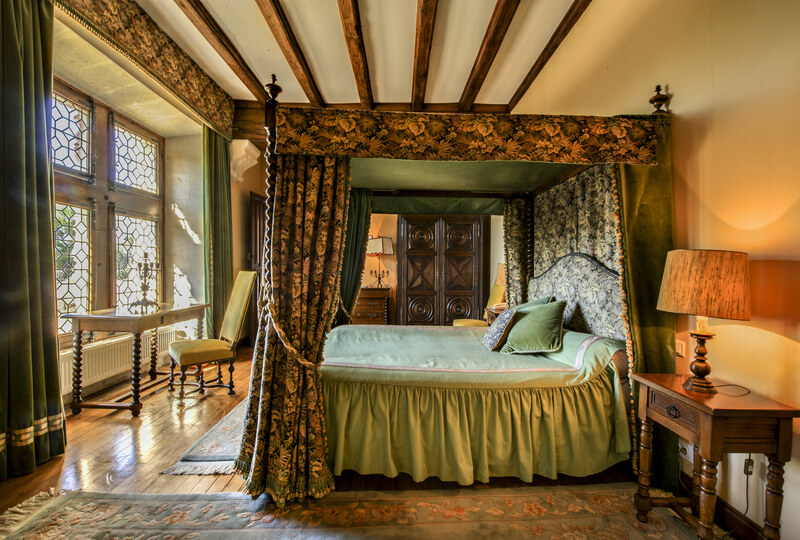 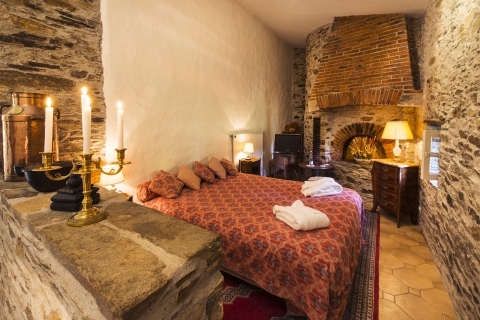 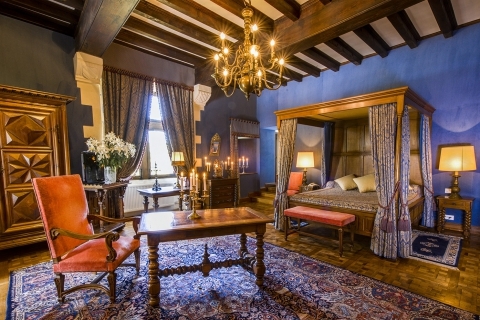 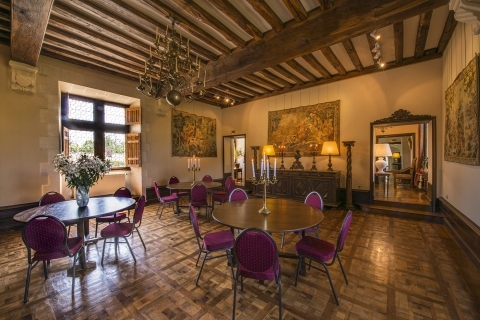 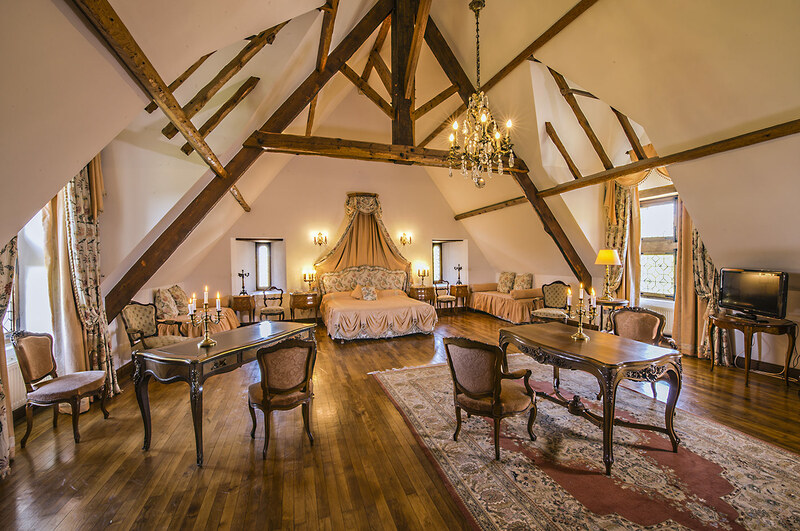 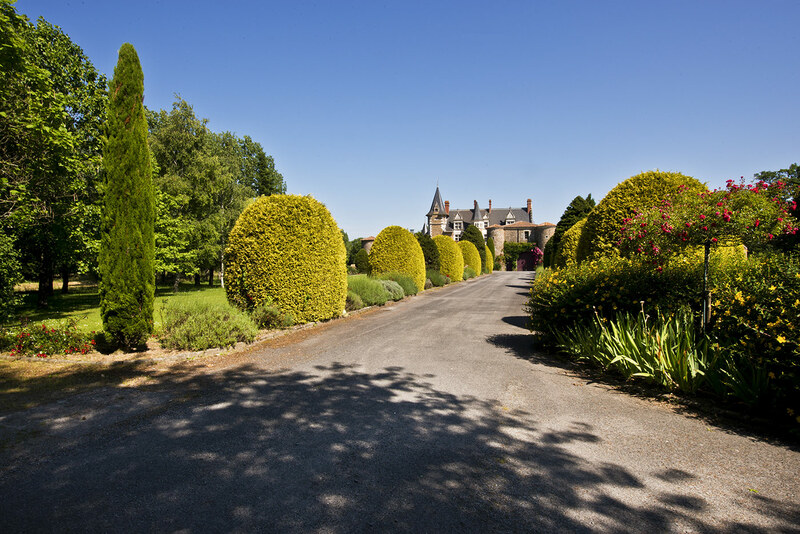 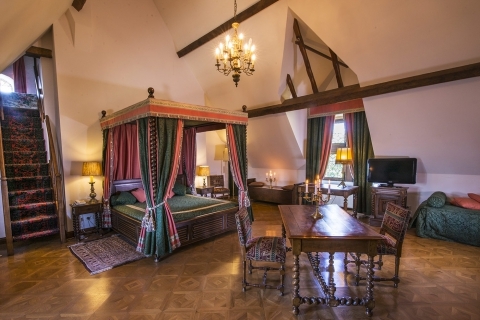 Completely restored in accordance with the styles, the castle welcomes you in an authentic setting, surrounded by a moat and a wooded park of 16ha. 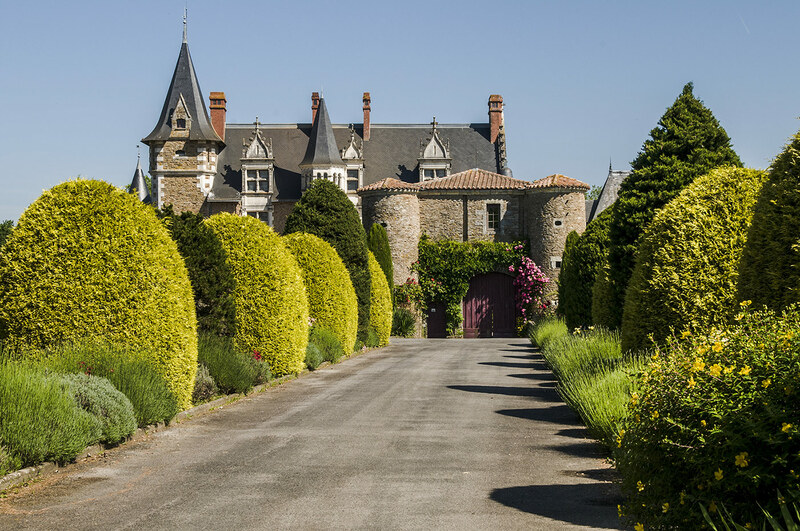 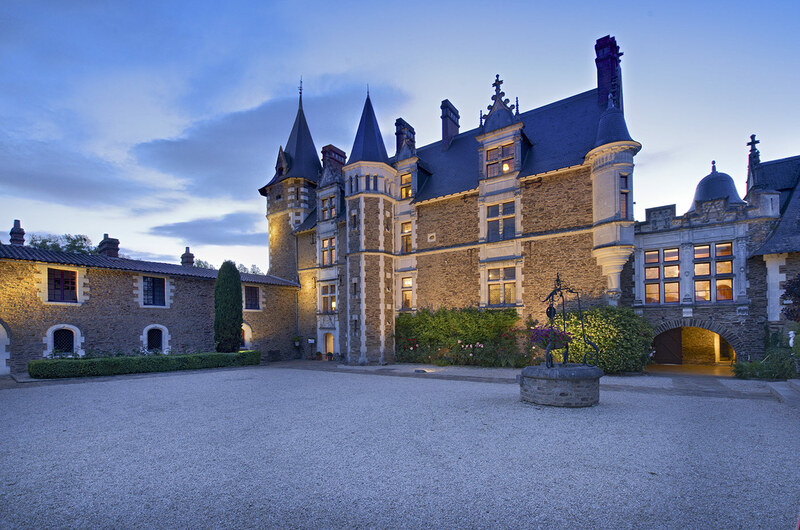 For a dream holiday in the Loire Valley, taste the Castle life between the sea air and the mild climate of Anjou. 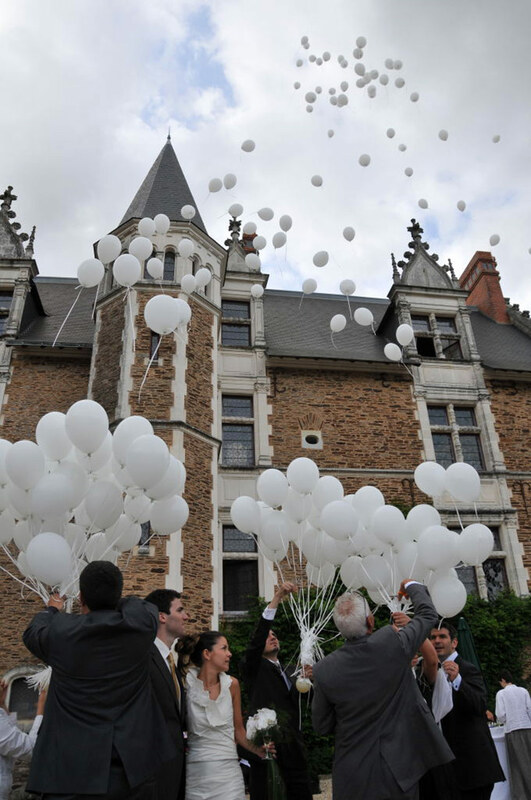 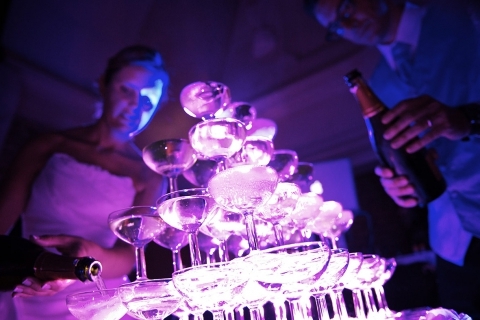 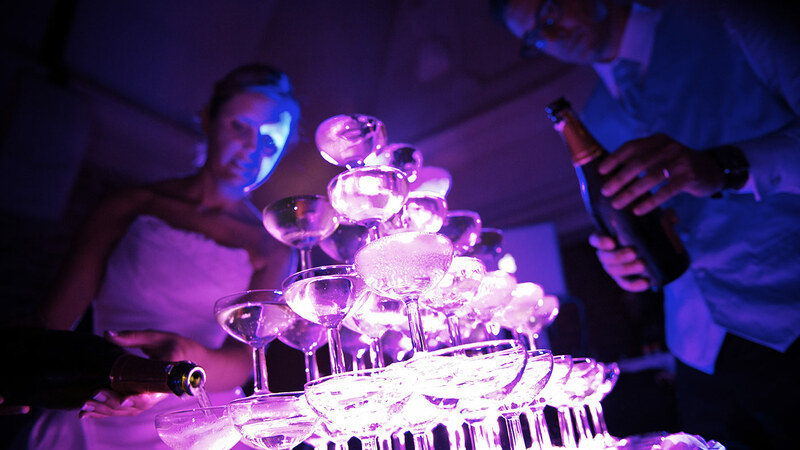 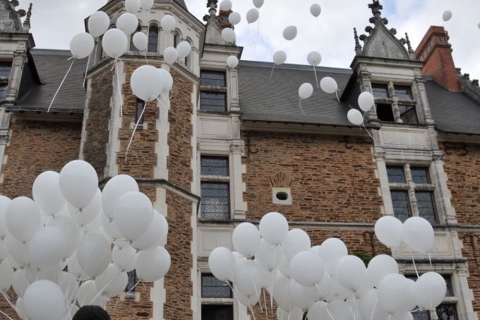 Valentine’s to St Nicolas day, there is always a moment, a day, a perfect time to party at the Castle of Colaissière. related at the time to the Dukes of Brittany; Family castle of tradition belonging for more than four centuries to the same family. 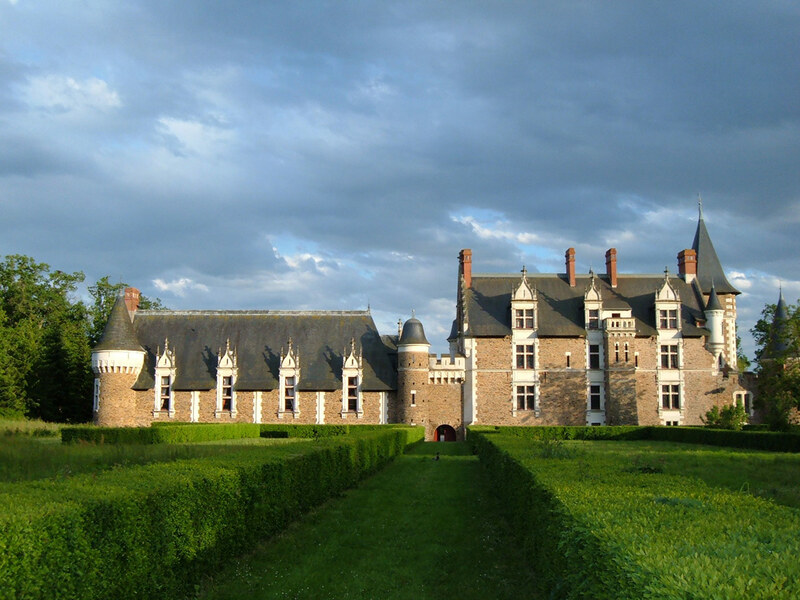 The Colaissière was heavily damaged during the war of succession of Brittany in 1522. 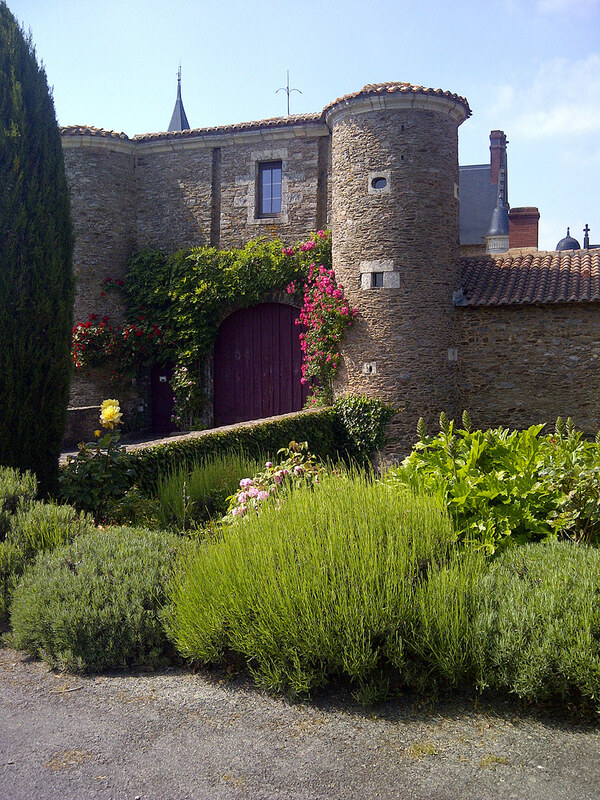 In 1794 following the Vendée revolution the Castle undergoes the access of the infernal columns. 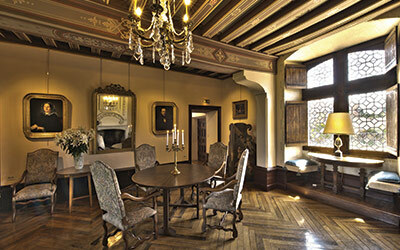 From 1894 on he was fully restored in the Renaissance style by the pupil of Viollet-Leduc, architect “Libaudière”. The Castle Colaissiere is located about 6 km from the Loire Valley in the department of 49, the beautiful region of Anjou. 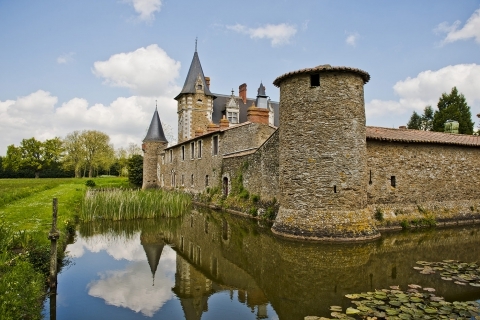 The nearest villages, are Champtoceaux and Oudon with its medieval tower to visit. 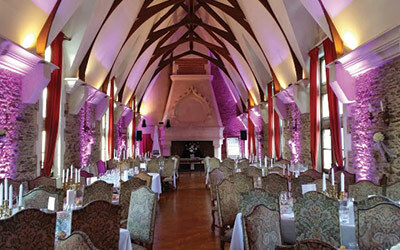 Themed cruises on the Loire on the ship “La Luce” are available. 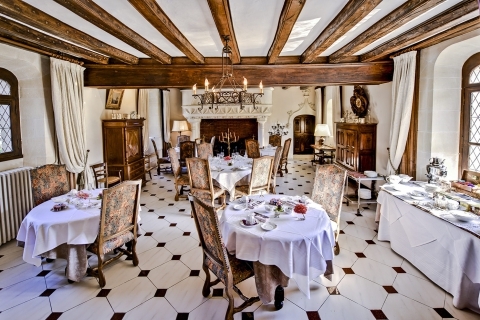 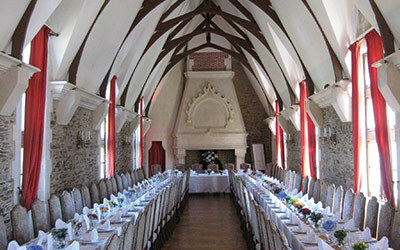 St. Sauveur de Landemont is a small village in the countryside and the Castle enjoys a unique setting with its wooded park of 16 ha. 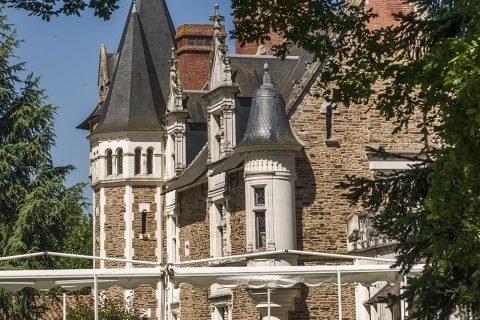 The largest city nearby to discover is Nantes, with a very active cultural and night life. 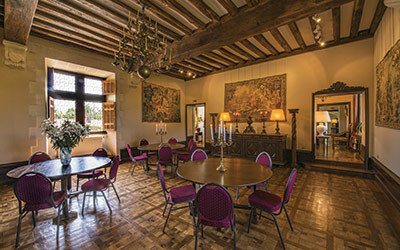 Wine Region, we can arrange a visit to one of the winemakers of the region. 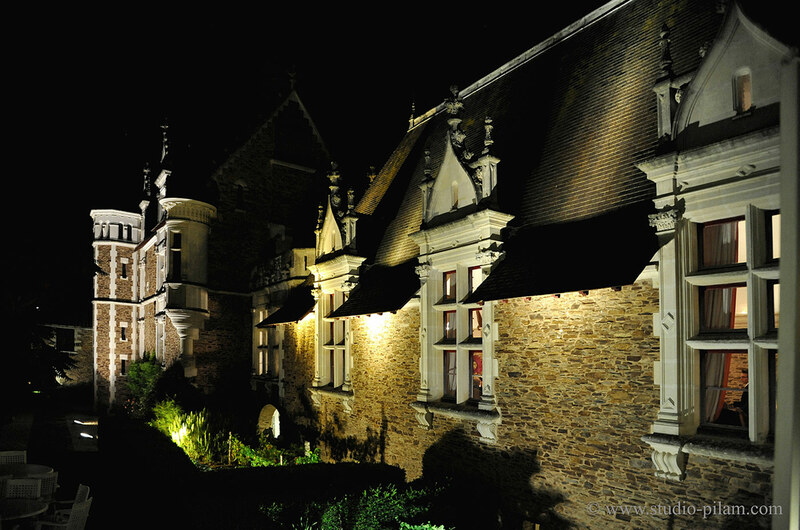 Discover the museum of the famous poet Joachim de Bellay in the nearby village of Liré. 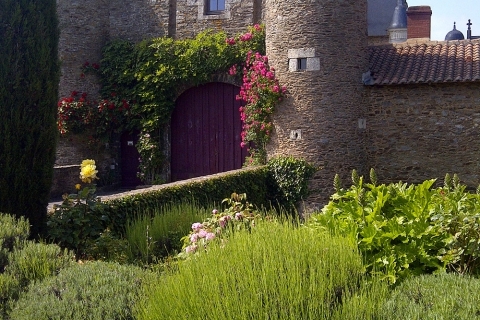 Visit St. Florent le Viel medieval city with its well known « Les Orientales” Festival taking place in summer. The Golf de L’Ile D’Or an exceptional site is located about 10 km, the Loire by bike, horse riding, hunting on private estate, rental boats, tour wineries, out visiting the castles of the Loire, Cruises on the Loire, “La Boissiere du Dorée” Animal Park, 1 hour from the attraction historical parc “Le Puy du Fou”…. 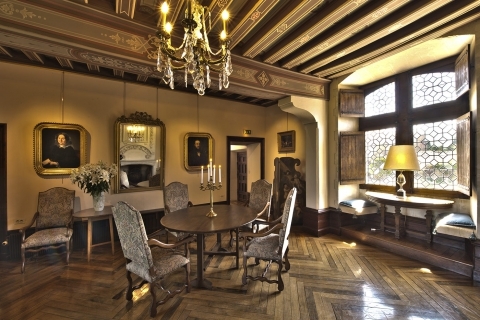 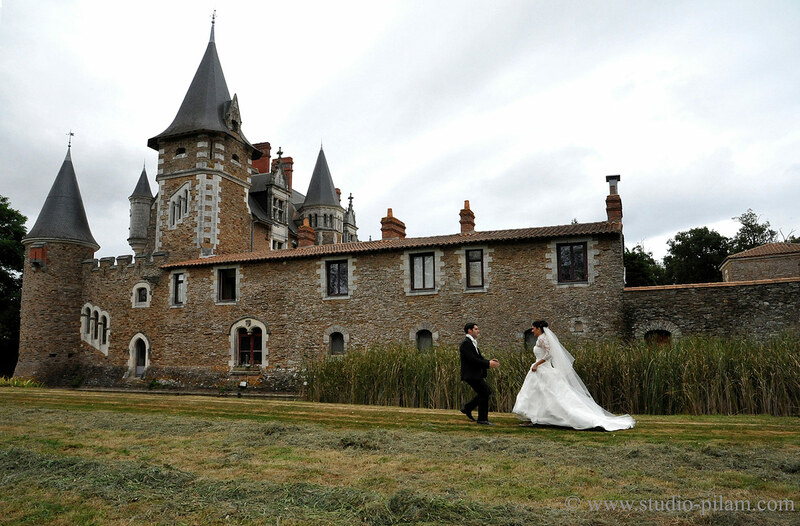 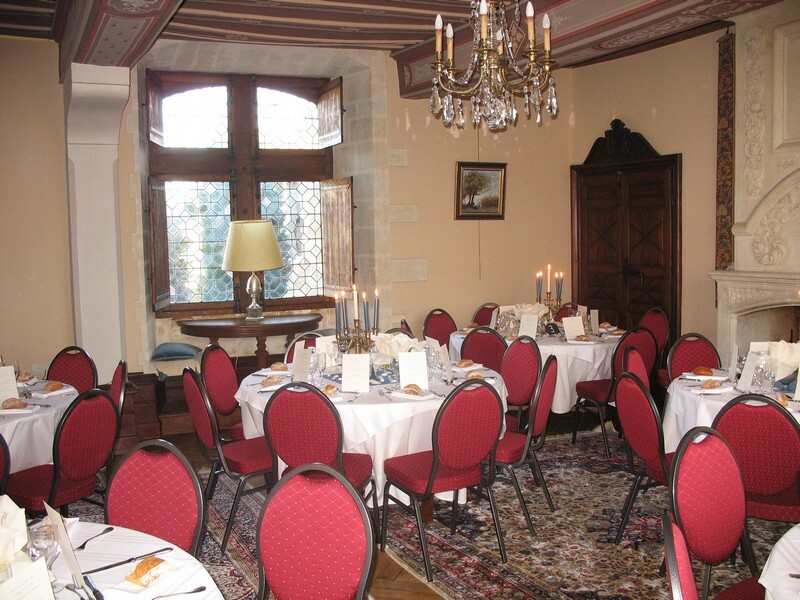 The Castle Colaissière welcomes you for private or professional events; weddings, birthdays, seminars, Christmas or New year eve,… It has an interconnecting festive floor to organize beautiful receptions for 200 people seated or 350 people in dinner cocktail reception. 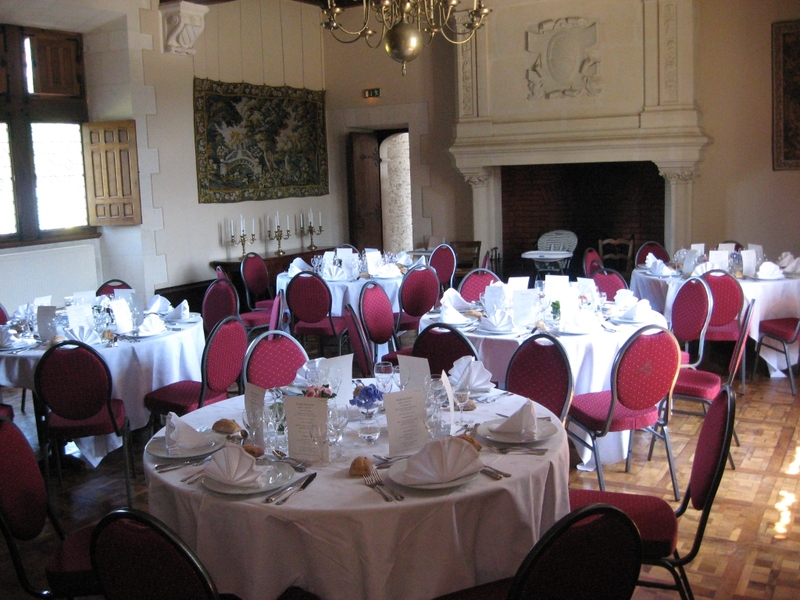 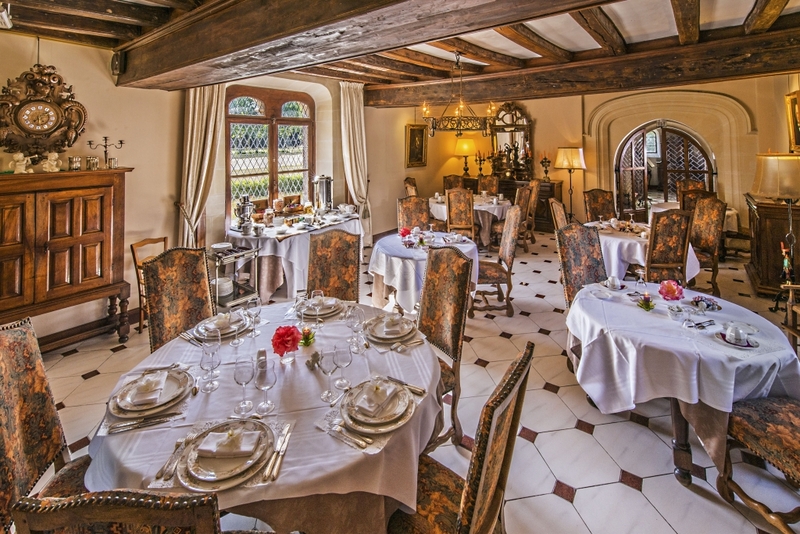 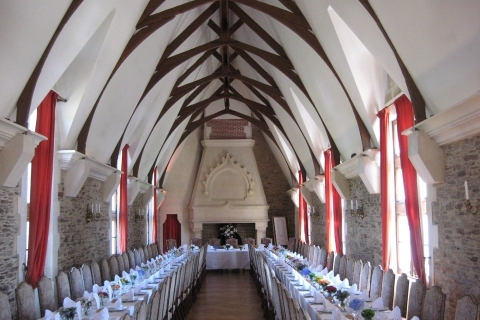 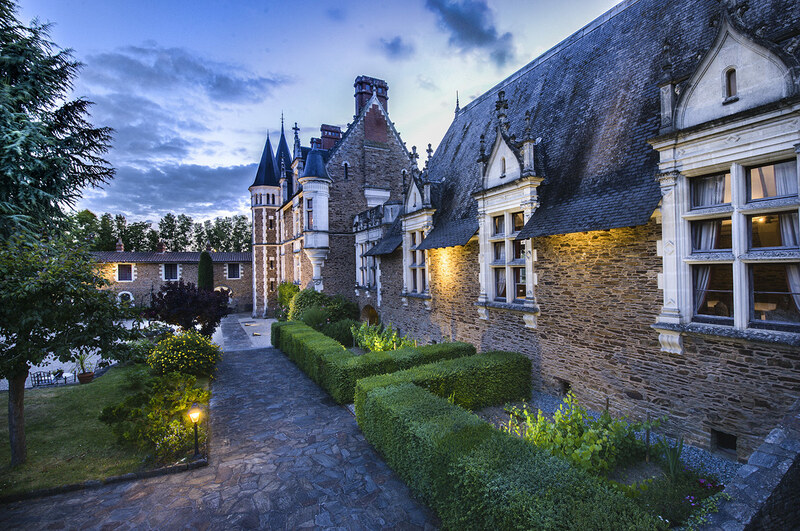 The Great Hall of the Knights, with its boat architecture, ideal for candlelight dinners or musical evenings, followed by his two lounges Neptune and Fleurie, and a terrace of 100m2; a courtyard of 500m2 and a large parking for 200 cars. The whole castle is illuminated from dusk to dawn. 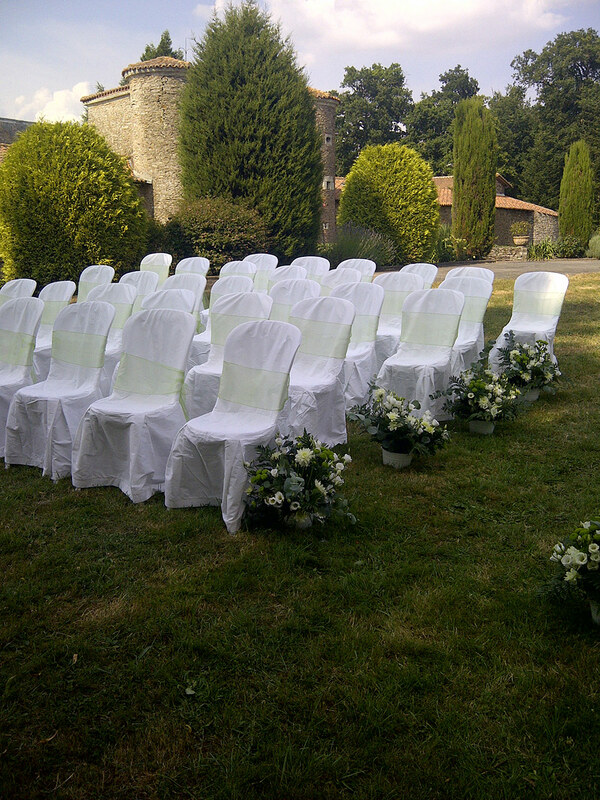 Rental from 600€. 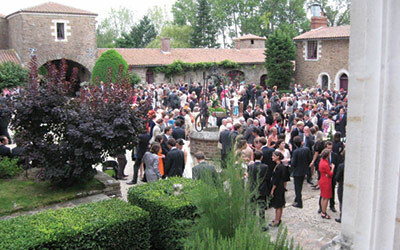 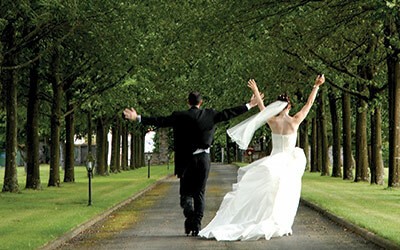 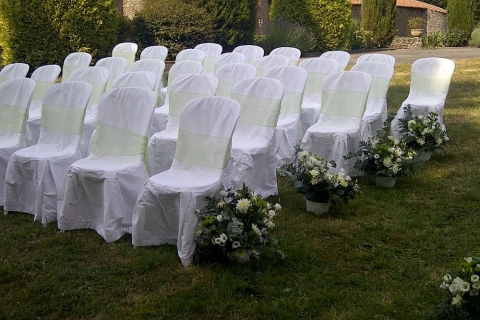 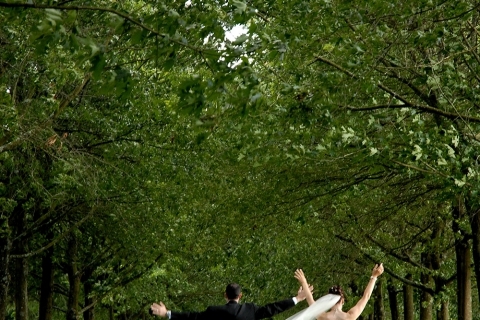 Help in the organization of the event or with full support service. Castle combines business with a quiet and peaceful setting for organizing your business meetings, seminars or marketing operations. 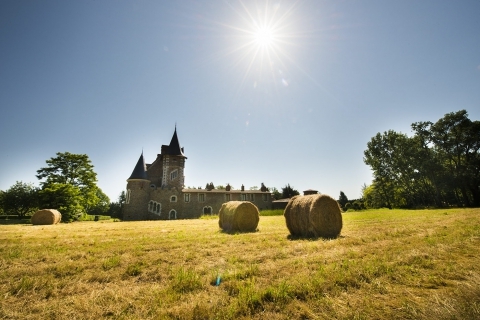 Discovery tours of the Anjou region (eg tour of wineries, cruises etc.). Rooms 30m2 Style Louis Philippe Louis XIII, with a large bed for two people or two separate beds. 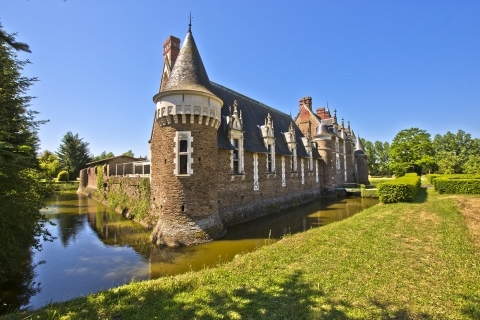 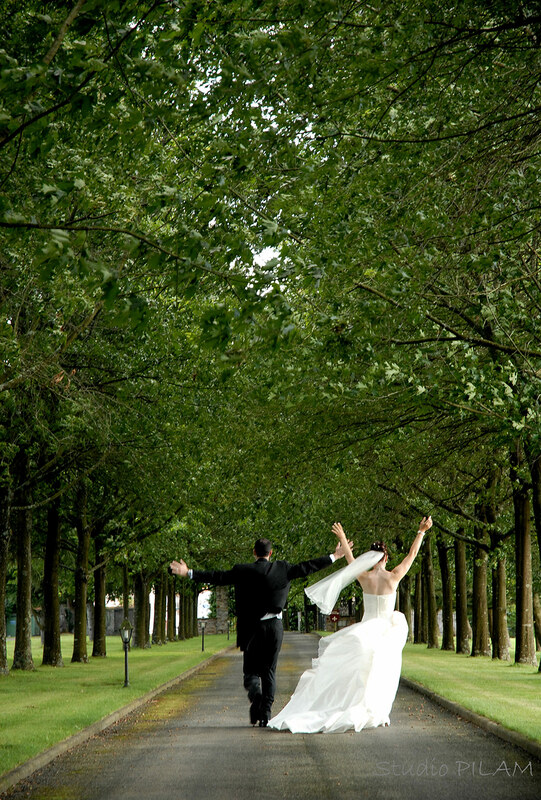 Located in the courtyard or in the castle overlooking the park and the moat. 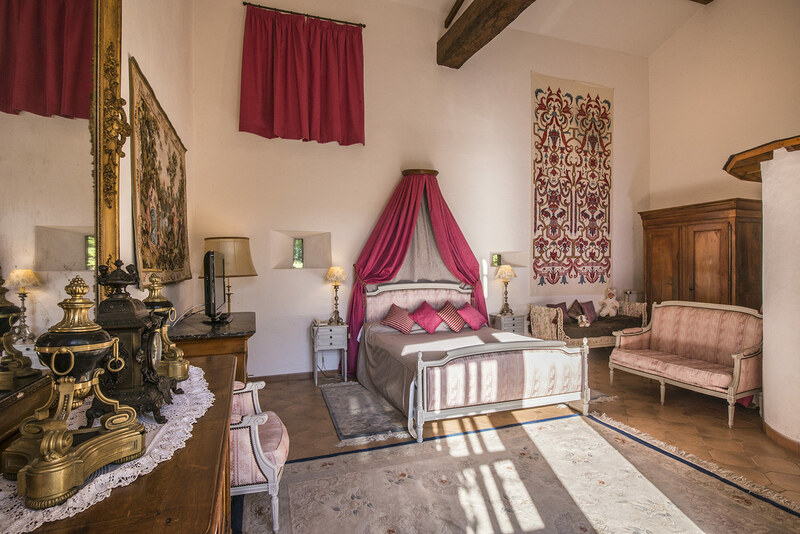 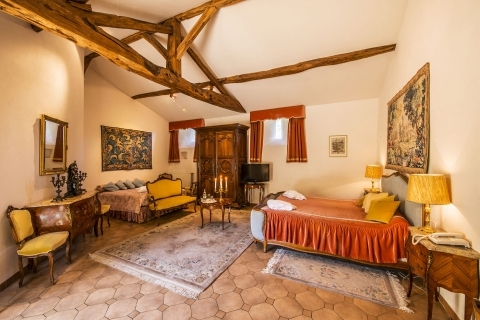 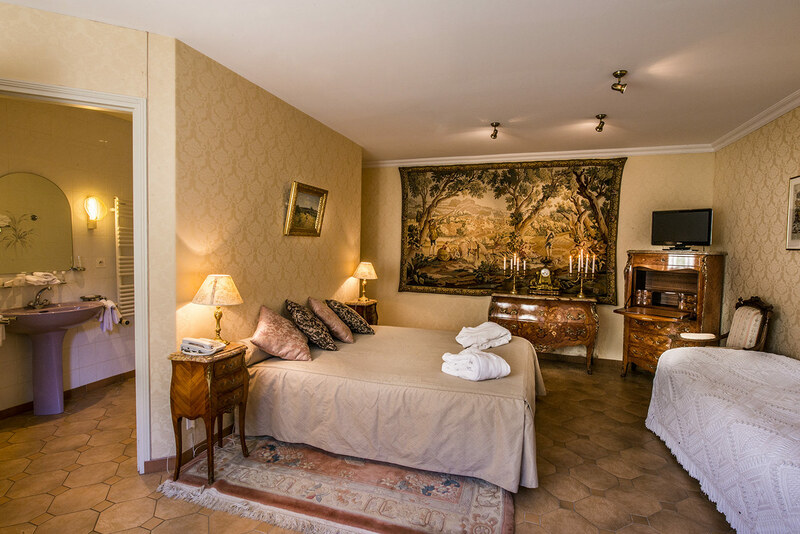 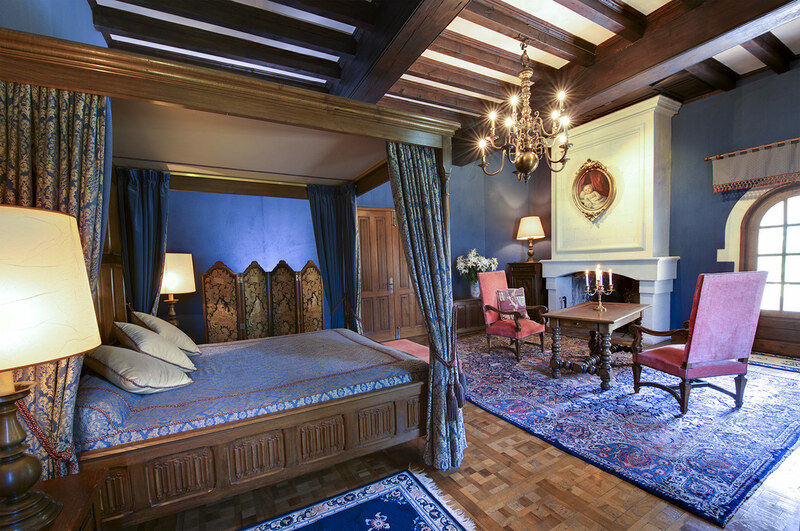 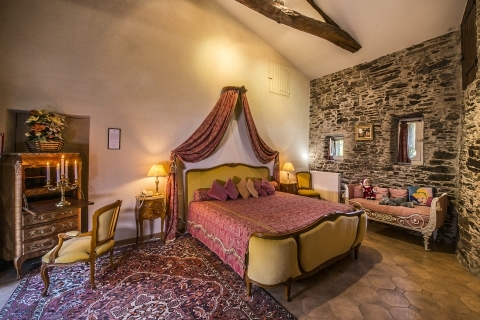 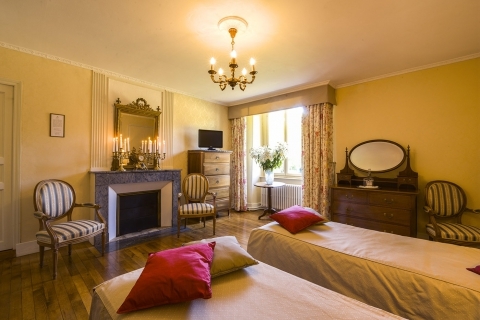 Rooms from 40m2 to 60m2 of Louis XV style Louis XVI, overlooking the courtyard equipped with a double bed and a single bed or two double beds with a capacity up to 4 people. 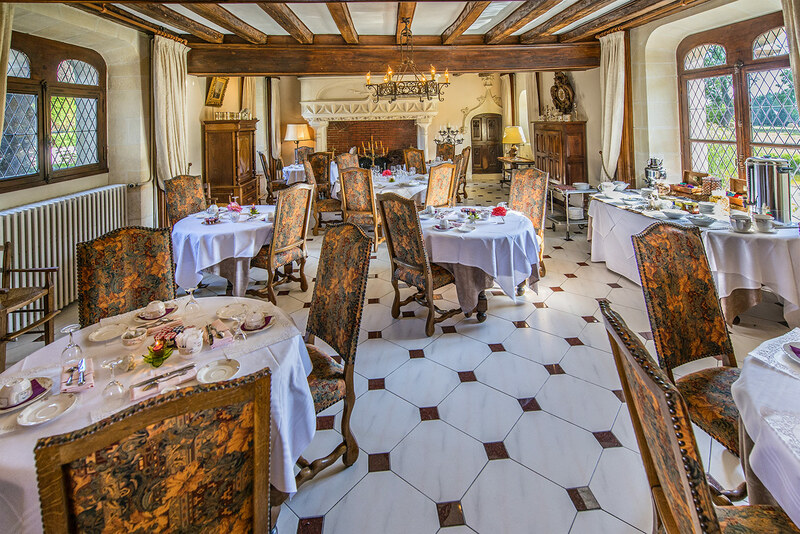 Buffet breakfast for two people included. 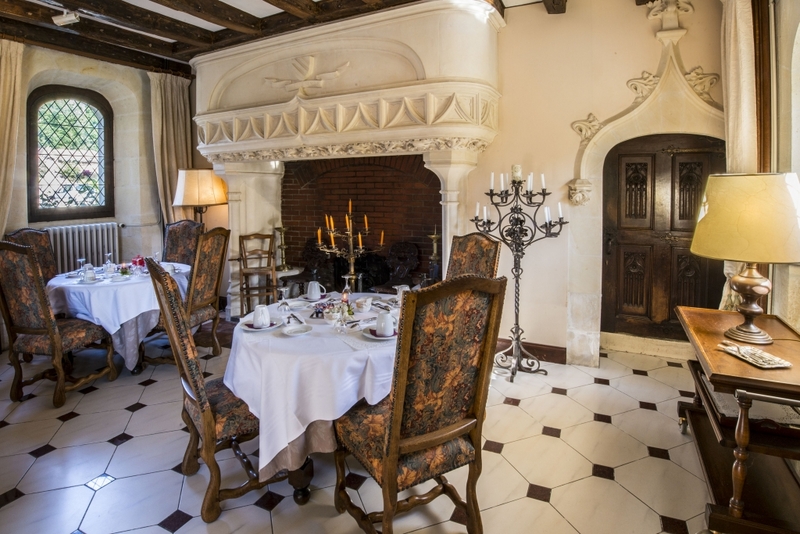 35m2 to 55m2 rooms with Louis XVI style Louis XIII overlooking the courtyard and the park and the moat. With a large single bed or a canopy bed. 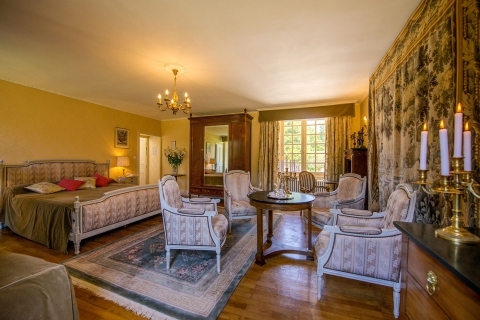 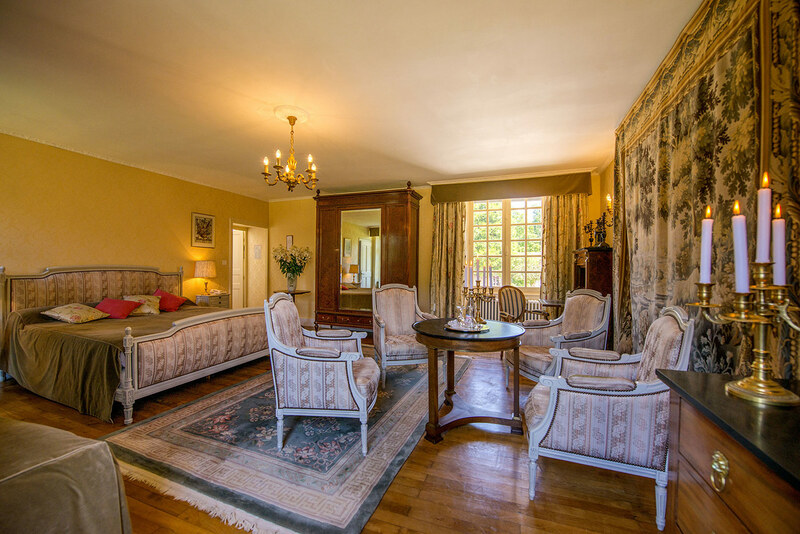 55m2 room -80 m2 of Louis XV style XIII overlooking the courtyard and the park and the moat. 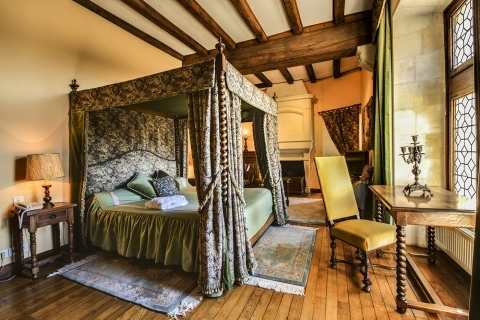 With a double bed or a canopy bed. 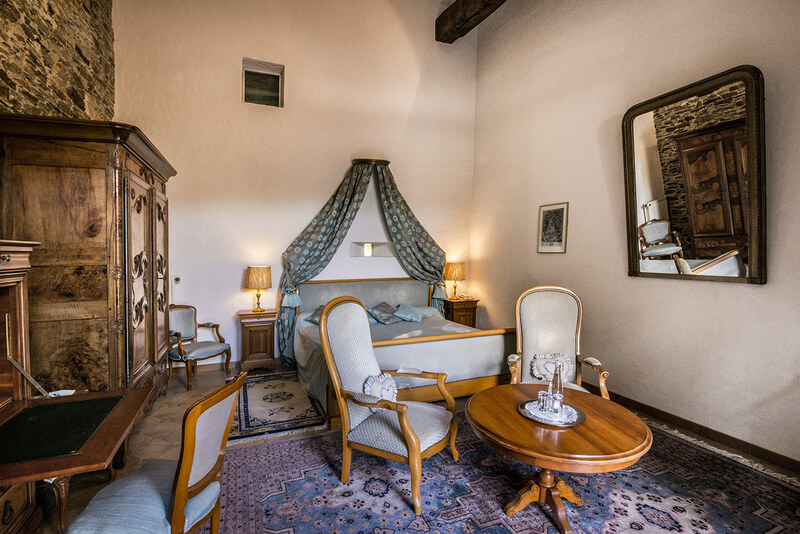 Room “Le Senechal”, the Bridal Suite with private terrace. 2 Bedrooms with a capacity of two to six or seven people. 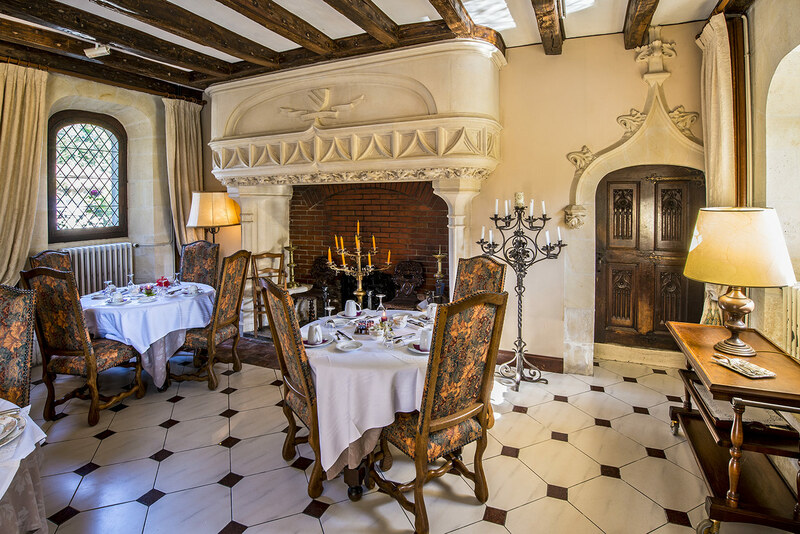 The Colaissiere provides its creativity, tailored to your desires, in the authentic setting of the Salamander, in the 14th century. The Colaissiere provides creativity, measurement of your desires, in the authentic setting of the Hall of Knights for a wedding, a birthday, a family reunion. 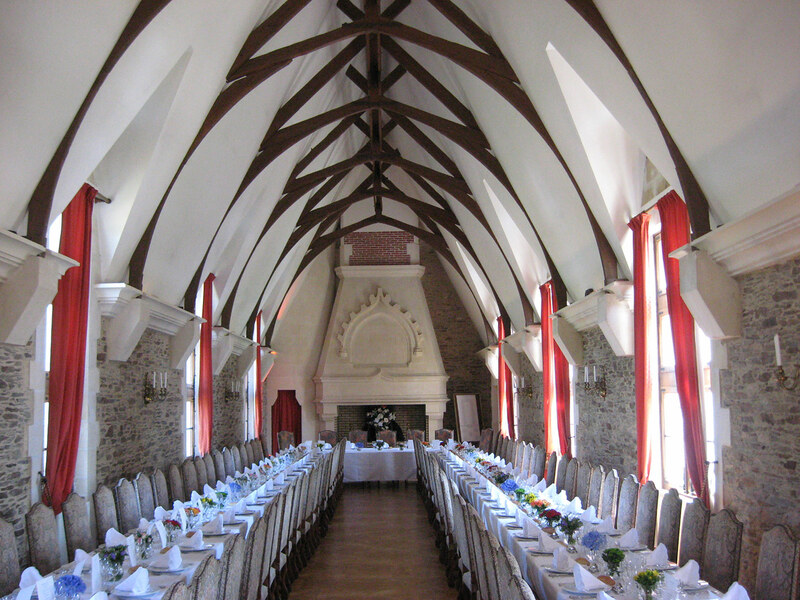 We offer a personalized catering service by our caterers who are used to work at the Castle that will delight your eyes and taste. 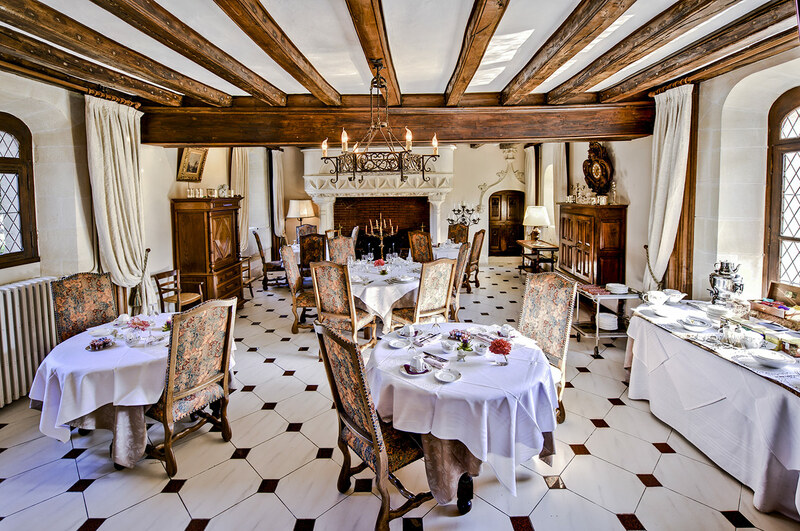 All our products are fresh and carefully selected from local producers, depending on season. 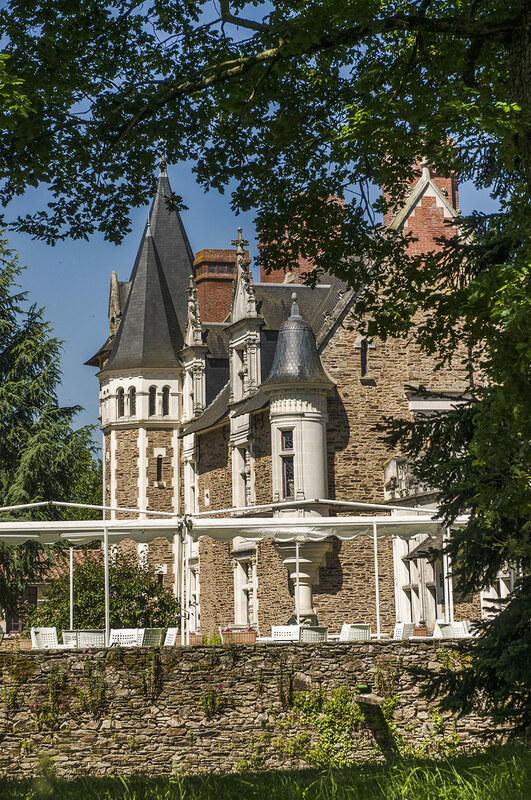 In this ideal setting, combining charm and beauty in the middle of a park of 16 hectares, a haven of peace, Castle of Colaissiere will leave an unforgettable impression. 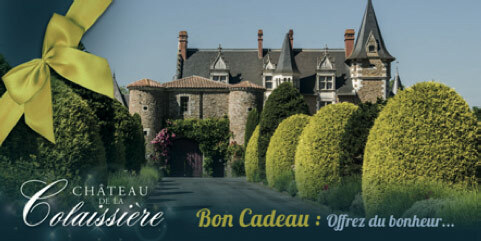 Only upon reservation. 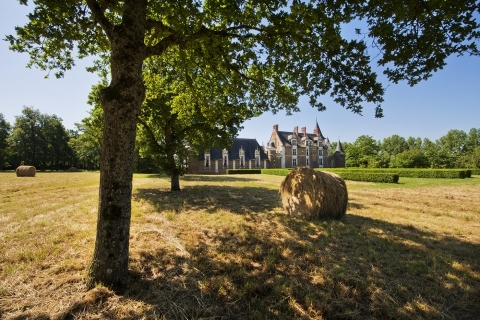 Location de salons à partir de 1000€ ou privatisation du château à partir de 3800 € avec 15 chambres pour 44 personnes. 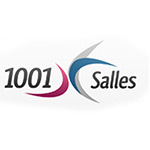 La colaissière vous propose ses salons pour vos réunions de travail, en journée ou résidentiel, un accueil avec pauses, un déjeuner ou un dîner, jusqu’à 20 personnes le restaurant du château vous proposera un menu confectionné par ses soins, au delà, vous proposera une liste de traiteur de qualité. Uniquement sur réservation. The Castle Colaissière is located in the village of Saint Sauveur de Landemont 6 km from the Loire Valley in the wine region of Anjou, near Nantes (25 km) and Nantes Atlantique (30km) Airport.